The one we’ve secretly waited for. Melty-eyed pups and cosy kittens. A smile on every page. Everything you love about our top fact series – now with added cuteness. Snuggle up with adorable animal babies in photos filled with puppy love. You’ll meet puppies and kittens of many breeds, and their distant cousins in the wild. 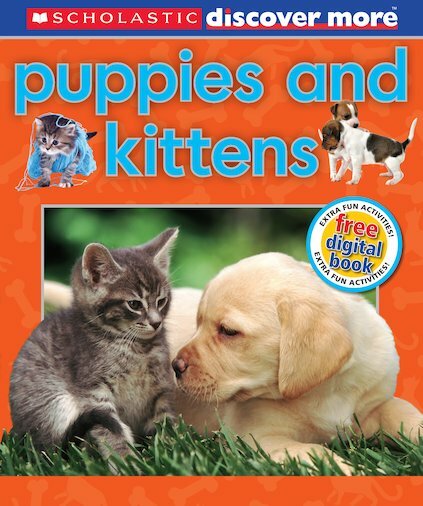 So many cuddly photos and fluffy friends you won’t know where to start. But we’re animal-lovers like you, and we know you’ll want even more. Which is why we’ve added a FREE digital book of extras and activities.